You’ve probably heard of the BMI (Body Mass Index), which is a tool commonly used to determine if a person is at a healthy weight. There’s a problem with that method – it is a simple height-to-weight ratio, and does not take into consideration one’s body composition. Athletes and bodybuilders with low body fat often are labeled as overweight or even obese on the BMI scale because they carry a lot of muscle. 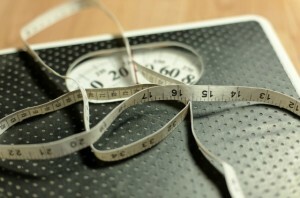 Despite its flaws, the BMI has been used as a standard measure of individual health for years. According to the Centers for Disease Control and Prevention, a “healthy” BMI is 18.5-24.9, an overweight BMI is 25-29.9, and an obese BMI is 30 or higher. In recent years, researchers have started to see that BMI is not such a good indicator of overall health after all. And now, a new study led by UCLA psychologists has shown the serious implications of such policies. The researchers found that using BMI to gauge health incorrectly labels an estimated 74,936,678 adults in the US as cardiometabolically unhealthy or cardiometabolically healthy.